Ignorance takes place when you are not aware of something, which has great value in terms of gaining traffic & efficiency for your website. There are a certain number of factors you need to consider while you move along with your digital marketing strategy. In this article, you’ll be able to learn about those things that you can’t avoid at any cost to make your site fast, reliable and more efficient. So here are the things that you need to zero in as a webmaster or blogger for better web performance. A Meta Description is a snippet used to summarize a webpage’s content. It appears typically below the green colored URL of a website in a search results page. The goal of a Meta Description is to invoke a curiosity or create a compulsion or mention the benefit to generate click-throughs. It is like a Call-to-Action (CTA) text to make users irresistible to click the page link in the SERP. Now, I’ll show you 2 important tactics to craft a good Meta Description. To make your Meta Description CTA centric to tease your prospects in the SERP you can use verbs. 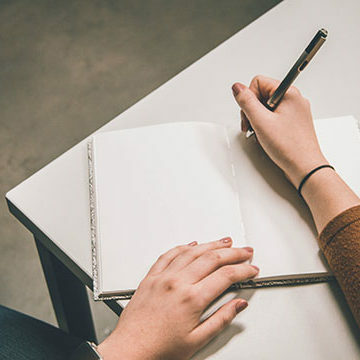 Depending on the topic you are writing about you can use verbs like, learn, know, grab, find or whatever that best suits your content on the page. Here’s an example Meta Description with a verb in the first place, which is asking a user to take an action. “Learn 4 Different Ways of Doing Meditation for the Absolute Beginners”. The very first word ‘Learn’, which is a verb, asking all the users to start learning about the beginner-friendly meditation techniques. Now, the second method is to express compulsion or urgency to make it irresistible. Most of the human beings are curious by instinct and the words Uncovering, Unknown & Mysteries, as well as the phrase “Never Heard Before”, are creating a sense of curiosity. Negative words also work great in terms of creating a compulsion. Because no individual wanna do some mistake in oblivion. Words like horrible, stupidity, wrong etc create an anxiety among users & readers that might be making some form of mistakes. Having said that, it’s also a good practice to include your target keyword in the meta description tactically. It increases the chance of appearing your description in the SERP if someone is searching a web resource using that target keyword. 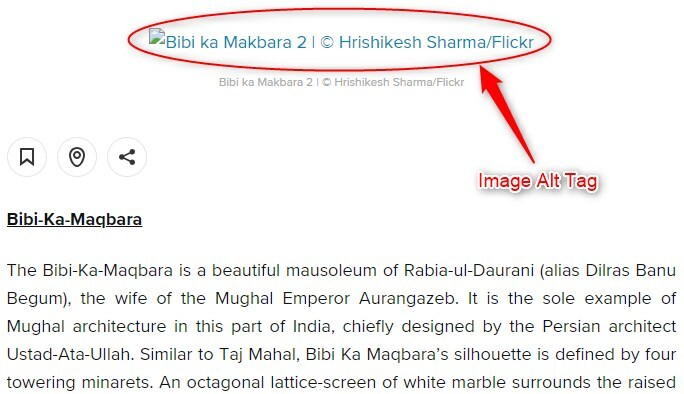 The URL slug of an image plays a vital role in terms of image SEO. To make your images SEO friendly you have to add the keywords that an image is about. It helps Google understand the content of an image. In that particular case, you can name the slug of the image as “skydiving-in-dubai” (ignore the quotation marks). Note: Make sure that each word of the slug is separated by hyphens while you name such an URL of an image (aka Image File Name). 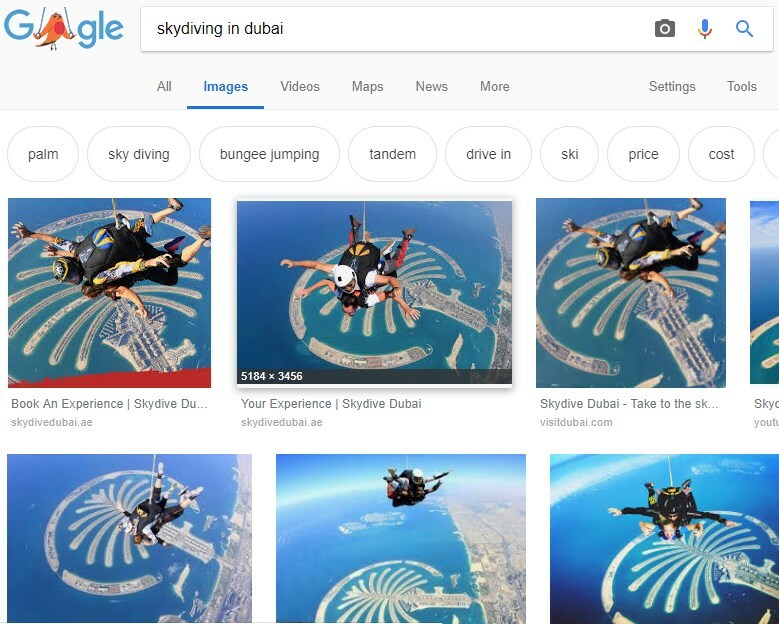 Now if someone search for images using such keyword phrases, like skydiving in dubai or dubai skydiving or any type of related phrases, your image will most likely to come up in the list of images. In the case of blog post featured image, you can name that image’s slug depending on the seed keyword you are optimizing your article for. And in that particular case, you can name the slug of the featured image as “black-coffee-recipe” or anything which you think the most appropriate. Now let’s grab the HMTL Alt attribute which should cling to all of the images that you upload to your server. An image alt attribute is an HTML attribute (commonly known as alt tag) of the img tag which describes an image in a concise manner. 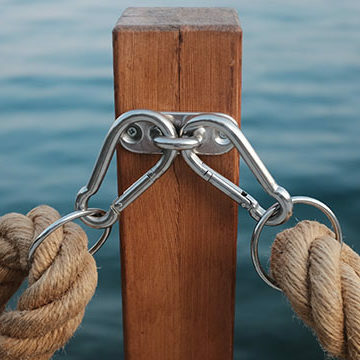 The image alt tag or attribute is another important element while you optimize an image for SEO. The alt or alternative tag is built for the people with disability (vision loss) using screen readers. And in that regard, an alternative image tag helps screen readers a lot to read what an image is about (since screen readers can’t understand images). One more thing is that when an image for some reason cannot be loaded the browser will show the alt attribute’s value in the place of the image. As you can see above, the alt tag is displaying on the webpage since the image couldn’t be loaded by the browser. The alt attribute value has to be concise and should speak. Let’s say you are uploading a skydiving photo and in that case try to arrange the words in a conversational order. In WordPress, you can add the alt tag value while you upload the image or you can also add it to the existing images by going to the post editor. One thing you should keep in mind while you write alternative text is to keep it concise. Don’t make it too long. An image title attribute is a text that you see as a tooltip (like a small pop-up box) while you hover your mouse over an image. This is the attribute which completes an img tag along with the alt attribute. Meaning a title & an alt attribute together makes a complete img tag. Although the title text attribute of an image is not so important for SEO, it’s a good practice to include them both. Google extracts information about the subject matter of the image from the content of the page, including captions and image titles. The title text is used to add an extra layer of information over alt text. It helps in case your image is carrying more information and your alt text is giving up to maintain the concision. You wrote Performing Skydiving in Dubai as an alt text and that jump was a solo (no expert is tying you along, you are an expert). And in that case, you can write Solo Skydiving by Myself in Dubai as a title text. If your image is not carrying much information and writing a title text doesn’t make sense, you can leave it blank. Having said that, Google uses the nearby text along with the alt text & file name to fully understand the content of the image. Now, let’s grab the stuff that you need to zero in to make your site load faster. In layman’s term, a CDN is a network of computers situated in different locations across the globe to load websites & applications faster. The servers or computers in each location known as Points of Presence or PoP. A CDN service ensures that you are getting the fastest possible speed irrespective of the continent you are in. When you use a CDN service and connect it to your website your site’s contents get uploaded into all of their servers (known as Cache Files). And when a user requests some of your pages or files, they deliver them from one of their servers (instead of your server) which is at the closest proximity to them. This ensures faster page loading speed as well as the lowest load on your own server. An Origin Pull CDN service fetches the website contents automatically (meaning the CDN service will pull your contents) after some certain intervals. 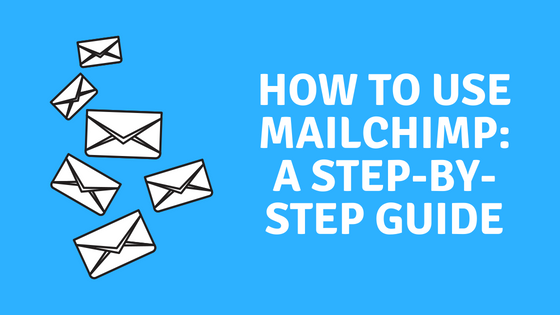 This method works great for the websites with lots of dynamic content or new contents publishing each day. On the other hand, an Origin Push CDN service works in the opposite way. It needs your website’s contents to be uploaded manually by yourself (meaning you need to push your contents to their server) whenever your site gets updated with some new content. This method works best for websites like personal blogs who publish contents less frequently or with less dynamic contents. A Push CDN service is also suitable for hosting media contents like video & audio files or any other file types which are static. 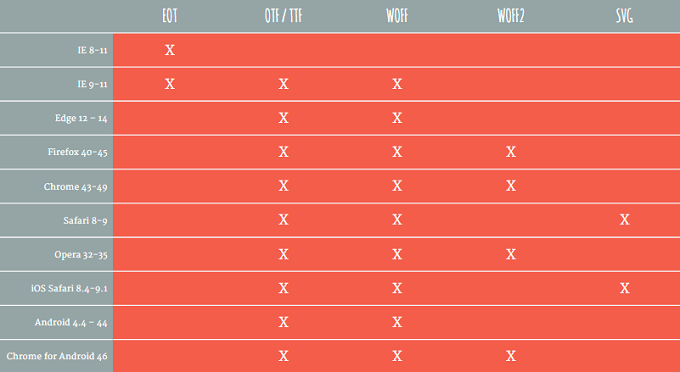 Which type of CDN service should you use? Well, at first a CDN is just a CDN. It’ll make your websites & contents load faster irrespective of what type of CDN service you are using. A Pull CDN always works best for all kinds of websites since all of your website contents will get automatically uploaded on the CDN server. However, a Push CDN will work best if you upload videos, podcasts or provide large media files to download, which results in a significant reduction in terms of server load. You can check CDN service providers like MaxCDN by Stackpath, KeyCDN, CloudFlare etc to get started. If you want to be more in-depth, you can follow this detailed & comprehensive guide on CDN services by KeyCDN. Note: If you have just started out or don’t want to pay for a CDN service but still in need of it, use Cloudflare CDN. You can start using their service for free and their free plan also comes with amazing features like Free Shared SSL Certificate, DDoS Attack Protection, Under Attack Mode etc. After you’ve done with CDN, it’s time to zero in on what type of font you should use on your website for better performance. Yes… fonts also play a role in terms of page load speed. You should be very careful while choosing fonts or text style for your website. 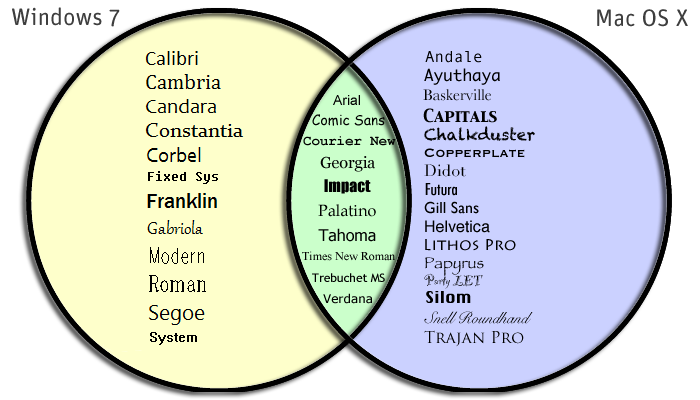 Now let me acquaint yourself with these two font types. The Web Safe Fonts are those fonts that come with the Operating System you are using. Means the fonts are stored on your computer. When you use these locally stored fonts on your website it gets the least amount of time to process the style of the text. Because the font stays on your computer and doesn’t need any additional HTTP requests or downloads from your server. The fonts that come with Windows may not come with Mac OS X. Now to comply with the web safe font you need to choose those fonts that are supported by both Windows & Mac OS X. See the image below from CoffeeCup.com to discover the universal web-safe fonts that you can use. But what if you want to use some fancy or customized web font for your website apart from these pre-installed safe web fonts? Non Web Safe Fonts are those fonts which are not pre-installed or locally stored on your PC or Mobile. They are rather uploaded to a remote server and instruct the browsers via HTML codes from where the fonts have to be fetched. This is done by mentioning a link to a CSS file and that CSS file tells the browser which fonts are being used on the website as well as the location of the font file to download. If you have at least an intermediate insight on CSS, see the following example to understand how Non Web Safe Fonts work. First, you need to declare the name of the font that you want to use followed by the location of the font files. The browser then downloads the supported font file and shows the customized or Non Web Safe Font to the user. Note: There are different types of font file formats in the CSS code. The EOT (Embedded Open Type) file format is for the Internet Explorer, WOFF (Web Open Font Format) is for all the major browsers & it’s also the fastest loading web font out there, TTF (TrueType Font) is also for all the major browsers although it’s not the fastest and the SVG (Scalable Vector Graphics) format is mostly for the Safari browser and iOS devices. The Web Safe Fonts load faster because they don’t need to be downloaded by the device. As they locally stored on each device the fonts get executed very quickly. On the other hand, the Non Web Safe Fonts or Customized or Premium Fonts take more time to load as they require additional download and extra HTTP requests to process the style of the text. A study performed by KeyCDN between Google Fonts and Web Safe Fonts, they found that Web Safe Fonts load 200ms faster compared to Google Fonts. Moreover, not every Non Web Safe Fonts have the same load time. It varies depending on the font you are using. So you need to make sure that your custom font is fast enough before implementing it on your website. Voice Search Optimization is relatively new and is fairly an untapped way of Search Engine Optimization. 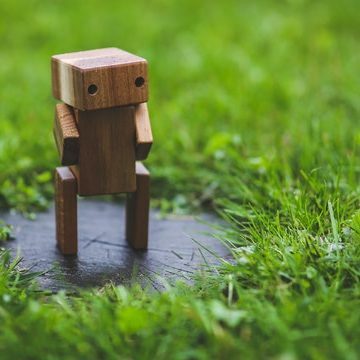 It is also gaining its popularity from the last few years as the advent of non-display personal assistants or smart speakers, such as Google Home, Amazon Alexa etc. According to comScore, the Voice Search will significantly take over 50% of all searches by the year 2020. If you haven’t paid heed to Voice Search yet, doing so will bring you fairly good results before it goes mainstream. The main goal of Voice Search Optimization is to make your post appear in the featured snippet of Google (aka Zero Rank or Google Answer Box). Google’s Voice Search functionality reads the answers of the searcher’s queries from these featured snippets. And the plain and simple tactic that you can use to be in that featured snippet is to answer the searchers’ query in a concise manner. If you are writing a definition or giving an introduction to a topic, use your brevity. 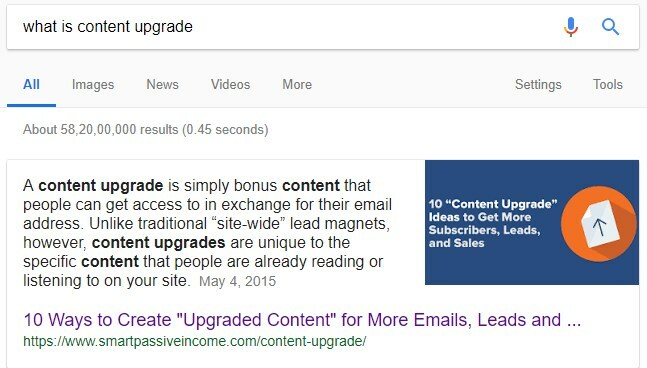 Google usually shows zero rank snippets within 50 words count. You need to write the definition in a fairly holistic manner so that the excerpt will most likely to be picked up by Google to give the searcher a fairly good idea about that topic within that few words. 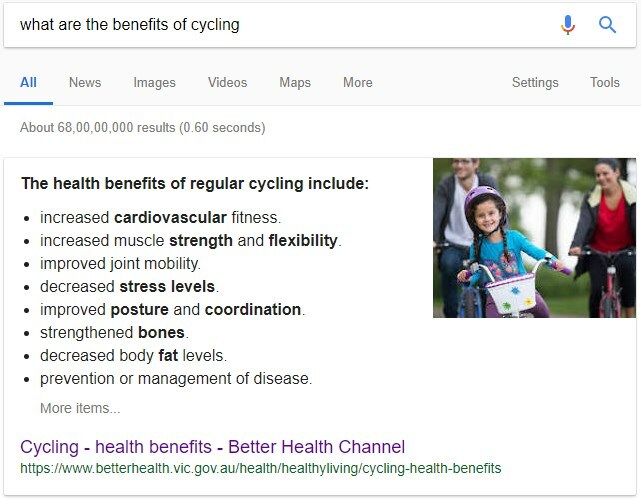 The above answer box is an excerpt from that post, which is clearly mentioning regular cycling benefits in bulleted points. A user wants to find some nearby restaurants, hotels, pubs or hospitals that he wants to visit. And in that case, the term “near me” is often been appended by the searchers. 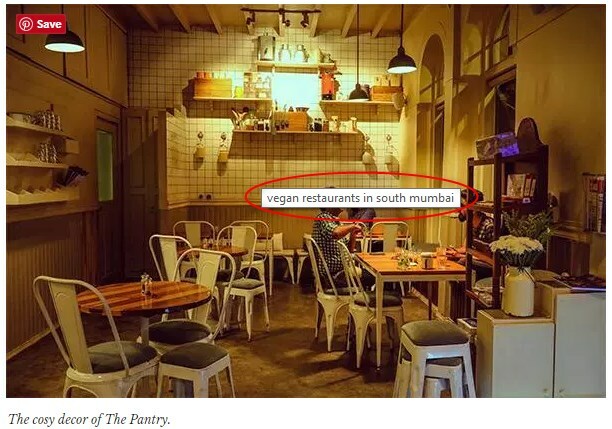 restaurants near me, pubs near me, hospitals near me etc. 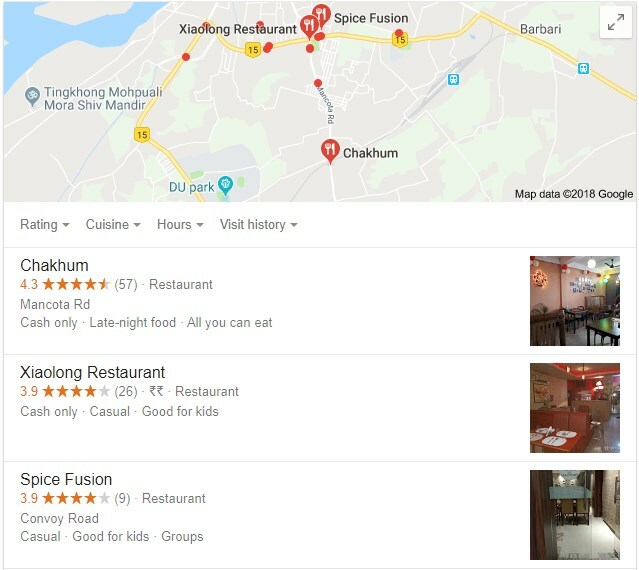 Apart from searching nearby, people might also search for the opening hours of a restaurant or store before they visit. Like restaurant name+opening hours, store name+opening hours and so on. If you are into local business and want to get found by your prospects, you need to enlist your business in Google’s My Business Listing. By doing it so, your business will appear in local search results triggered by the terms like near me, opening hours, directions etc. 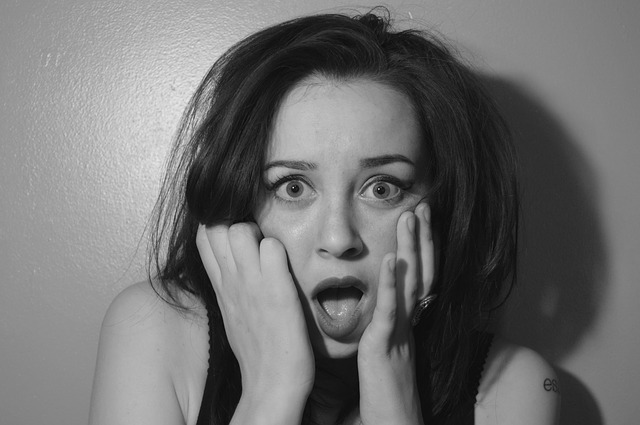 Images are almost inevitable when it comes to publishing something on the web. They consume the highest amount of bandwidth of the users while they download the contents of a webpage. So compressing them and keep their file sizes at an optimum level is fairly a good practice. By compressing your images you can make your website load faster and rank better. There are factors such as image dimension, image metadata, amount of bits per pixel etc that affects the file size of an image. So how do you make your images compressed to Load Faster? To reduce the size of an image make sure that you are not using very high-resolution images. Try to avoid using High Definition images as far as you can, since it makes an image unnecessarily larger in size. There are many online tools available to compress your images and you can use TinyJPG to compress your images. There you just need to drag & drop your image files to compress them and no further steps required. Apart from online tools, you can use other software tools such as Adobe Photoshop to compress your images. 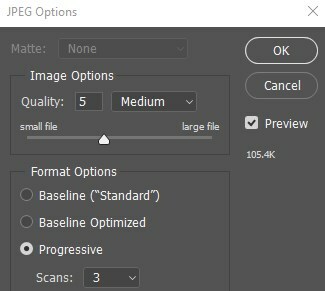 Photoshop is always more intelligent in terms of compressing images and I also use Photoshop personally to compress my own images. Now set a lower resolution in the Width & Height section of the pop-up window and click on OK.
Keep the dimension of the image moderate but do remember that you shouldn’t go for HD resolutions. Next, click on File>Save As>Save and there you’ll get a pop-up window to choose the quality of the image among Low, Medium, High & Maximum. Select the quality which is keeping your image in the optimum range of file size. 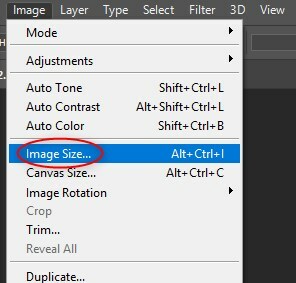 Use the preview function of Photoshop to know the file size of an image before you make changes. Keeping your images between 50KB-80KB is ideal or if it is an image that needs much higher detail than you can choose between 100KB-250KB depending on the resolution & quality of the image. After you finish compressing your image upload it to your server or website. If you are on WordPress you can still use an image compression plugin like WPSmush to compress them even further after you upload them. Don’t worry your images won’t get any quality loss if you do additional compression of your images. To compress your images using the WPSmush plugin is really easy. You just need to install the plugin and it’ll compress the images right after you upload them. Yes… no further steps needed. The plugin has also a feature called Bulk Smush. If you are a premium user, it’ll allow you to compress all of the already uploaded images of your website in a single click. And if you are a free user, you can still smush up to 50 images at a time. To bulk smush your images, you need to click on Smush (in the left menu of WordPress) and then select Bulk Smush Now. This way WPSmush will allow your site visitors to save some another extra bandwidth while they access some of your pages as well as to experience faster page load speed. Found this article helpful? Did I miss something important that you think it needs to be added? Decipher your thoughts into words in the comment section below and let us know. Thank you so much for the lesson and I would like to thank you for teaching us most the beginners in this session because many do mistakes . Thank you so much and let me share the message . Thanks for sharing the important points that we need to focus while writing and explaining about a certain topic. Web Safe Font was a new and interesting thing that I came across. I will be careful henceforth while downloading new fonts. Each of the other points have also been discussed very nicely. Will keep this article for my future use. Glad you found my article helpful and interesting enough, Swati.